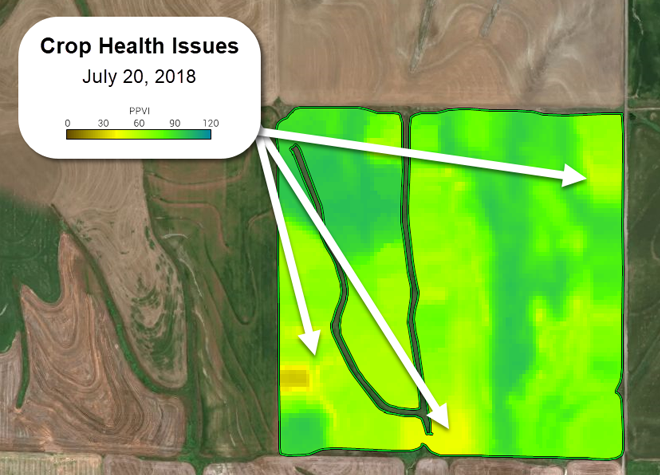 Crop Health Imagery, powered by PurePixel™ technology, provides reliable, cloud-free, calibrated satellite images to farmers and their trusted advisors. 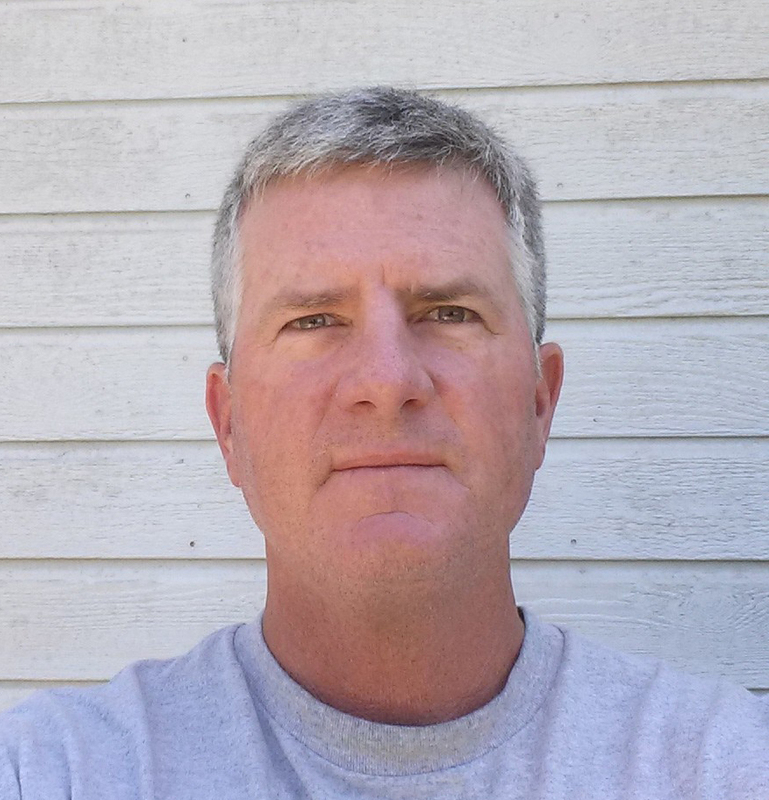 PurePixel leverages a proprietary algorithm to analyze multiple sensor inputs to produce calibrated vegetative index maps throughout the growing season. This unique calibration allows farmers to compare crop health at each growing stage for more targeted crop scouting. 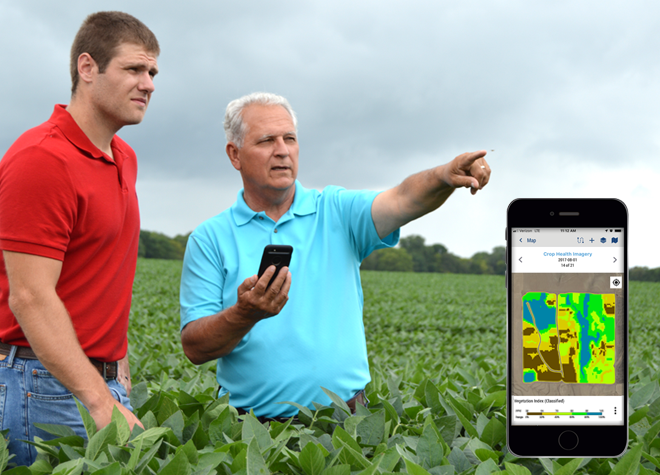 This enables smart in-season application decisions, helping farmers maximize yields and drive profits. Crop Health Imagery is included with Farmer Pro and is available worldwide. Many imagery providers fail to address the need to compare one growth stage to the next using a calibrated scale. 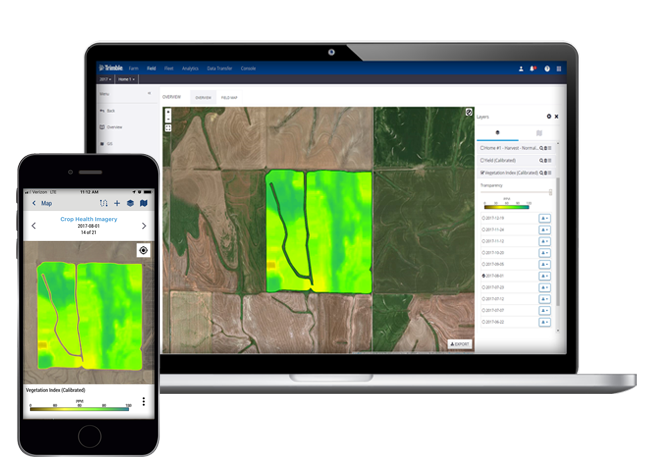 Trimble’s offering is unique because Crop Health Imagery is powered by PurePixel, which leverages a proprietary algorithm that can analyze multiple sensor inputs to produce calibrated vegetative index maps. This means you’ll have reliable imagery throughout the growing season using the same scale, helping you find issues quicker. 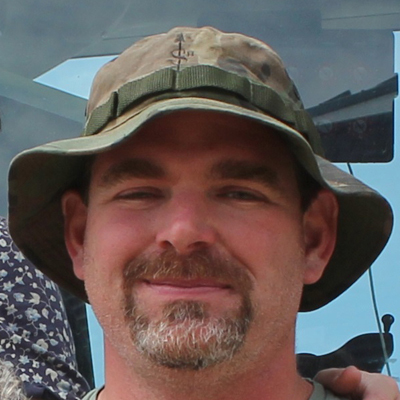 Crop Health Imagery provides the ‘early warning’ system to see trouble before it costs you money. Seeing your crop performance across the entire field for that single point in time can help you detect issues before they escalate into bigger problems. 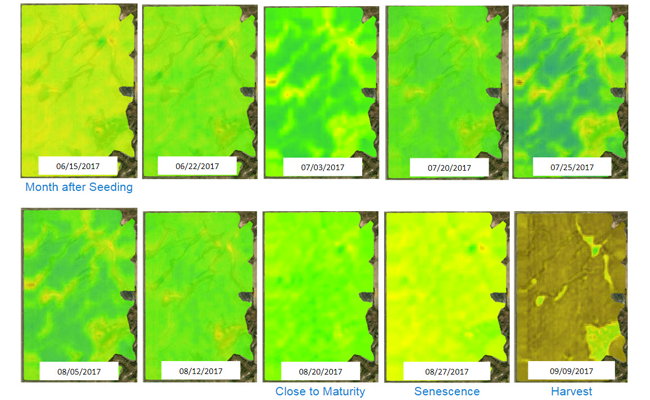 Crop Health Imagery is your partner in maximizing profit in each area of your field. All imagery can be viewed from the Trimble Ag Mobile app to help target specific locations for scouting. Using the app, navigate to troubled areas and enter scouting information such as pest types and photos. Data uploads to your Trimble account can be easily shared with a trusted advisor, resulting in timely recommendations. Crop Health Imagery is included with Farmer Pro and is available worldwide. Click below to see how to purchase.